A marquise cut diamond, claw set with a surround of twelve round cut diamonds and a further eight round cut diamonds on each shoulder. 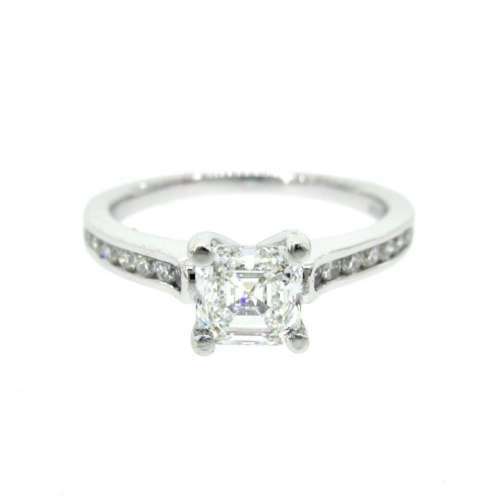 Set in 18ct white gold. Total of .24ct of diamonds. Setting dimensions approx. 5.5mm x 9.2mm.